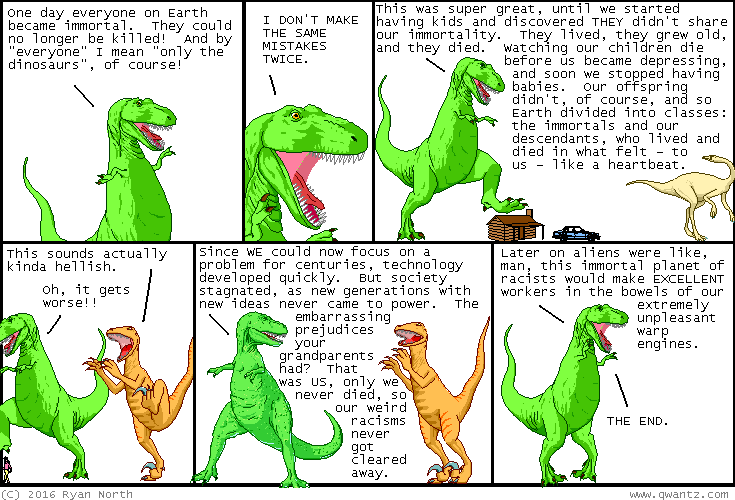 Dinosaur Comics - March 14th, 2016 - awesome fun times! March 14th, 2016: I have a new book coming out! It is called Romeo and/or Juliet and I think you will like it. That's what I think! I'm not gonna lie about it! !